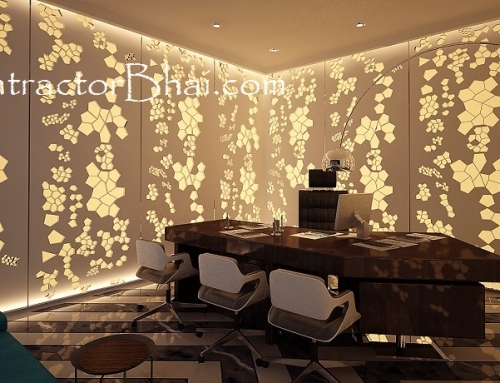 Acrylic Solid Surface is more superior then Polyester Solid Surface. 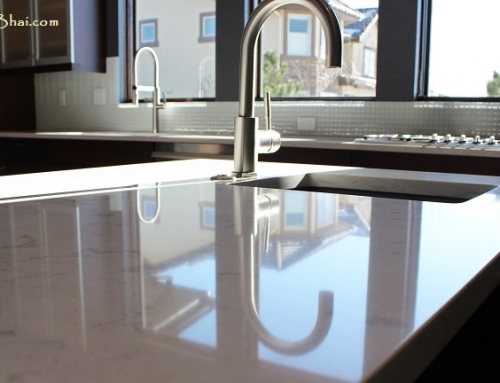 Acrylic Solid surface material is preferred where water & food will get in contact. Where demand for Hygiene is really high. Polyester is just a Replica of Acrylic. It looks & feels like Acrylic Solid surface, but it isn’t. Polyster Solid Surface is a very lower quality as compared to Acrylic. In International market, Acrylic Solid surface is known for being Food Grade certified i.e it is hygienically clean for making kitchen Counter-top like surface. Locally in India not many people are aware of the differences. I am talking about home owners. When your designer or carpenter offers you beautiful Corian material, ask if it is Acrylic or Polyester. Polyester has lower rate compared to Acrylic. Polyester doesn’t bend and we can bend Acrylic. Bending of solid surface & creating beautiful designs is unique selling point of solid surface, which clearly is not present in Polyster made material. 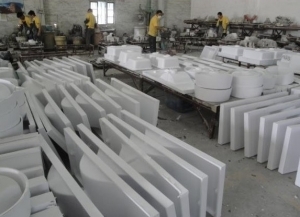 Having said that there are applications of Polyester solid surface & there is big market for it as well. All i want to tell Home Owners is do not get cheated on material you are being sold. unfortunately, there is no way for a layman to tell if material is Acrylic or Polyester. If I go in the market today to buy solid surface will that vendor tell me whether it is acrylic or polyester? Lot of them don’t tell. Acrylic material is little expensive then Polyester but it is always good idea to prefer it. Isn’t there any easy way to find out whether it is acrylic or polyester? 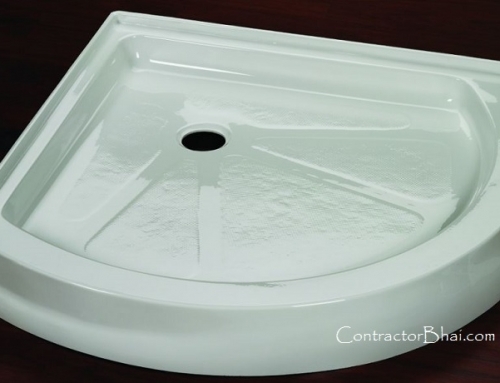 A solid surface professional can easily make out difference. But client is not in this field. By appearance it will look same. At times they will show catalog of Tristone or LG Hi-Mac – and they will finally deliver product of China. By Look and feel of the product a layman cannot understand the difference but in quality there is vast difference. I will tell you one very easy way to categories Solid Surface material. Solid surface which is widely sold in India are manufactured at 3 places – Korea, China & locally right here in India. Of-course American manufactured Solid Surface is top-end but unreasonably costly compared to other options. These are high quality. Little expensive then other alternatives but these are best. There is good & bad & ugly available. For example in Mumbai market very widely sold Solid surface material is manufactured in Ghatkopar area in factories. There are no fix standards. Lot of trials & errors with material composition. I have a Good News & bad news to share. Usually Carpenters / Designers when they buy low quality solid surface material, they start getting complains within 2-3 years. Material doesn’t last, it fades, looses colours or breaks. It start looking ugly. If a Designer gets such 2-3 complains he stops buying such poor quality material. Hence low quality material by itself doesn’t withstand in market. That was good news. Bad news is if you were the customer where poor quality material got used. Material which is made in Korea is high in quality. It clearly mentions at the back that it is made in Korea, batch no., NSF number & other details. DuPont Corian, Samsung Staron, LG Hi-mac, Tristones these are all known to be Made in Korea. 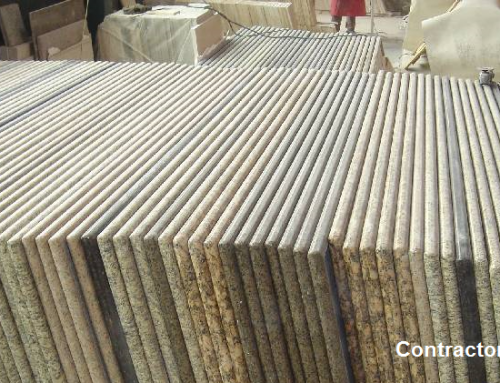 Most solid surface material made locally in India is low in quality. In one batch they make 5 to 7 sheets. And after this you get variation in color that is another problem. In good quality brands batch comes in sheets count of 30-60-90 sheets. So we can supply one batch of one color. You will never face shade variation problem. If you really wanted to save money by buying low quality material, why are you even buying solid surface, just go ahead with laminate/sunmica. You will save lot of money. Coming back to Polyester Solid surface, it is perfect for place where there is no direct handling of the material. 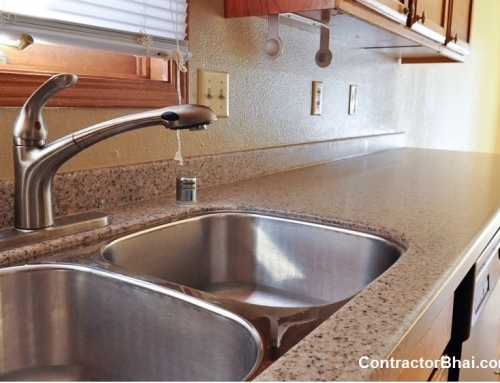 A low quality Polyster Solid surface will fade and turn yellowish. It will lose the feel of a corian surface. First of all I should thank you for your time reading my e-mail below. I am Jason from Linhai Bingyi Building Materials Co., Ltd.
We find your information on the website that you are dealing with acrylic solid surface materials. 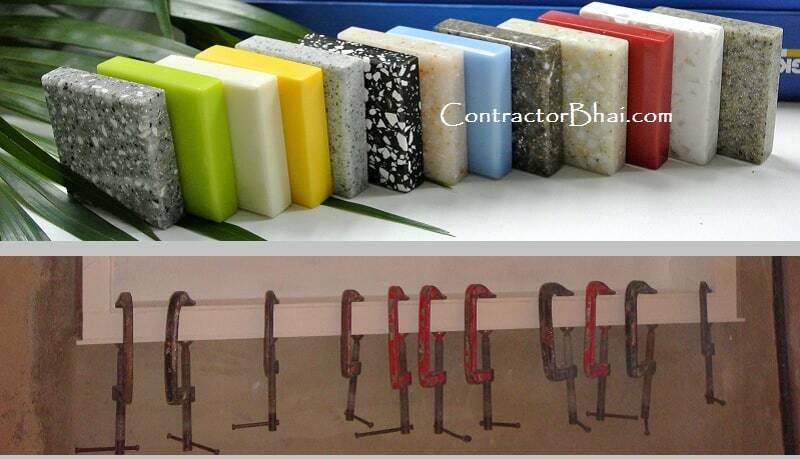 We are a very professional manufacture for Solid Surface and Quartz Surface Adhesive since 2009 in China mainland. we are now mainly have 50ml, 75ml and 250ml cartridges, the glue and the harder ratio is 10:1 which is perfect for bonding. And we are now supplying most of Chinese solid surface factory like Magicstone, Monerte, Koris,Polystone, Meganite,Binestone and so on. and like Samsung, Straon, LG Hi-macs, Dupont Corian all these Acrylic Sheet Board are suitable with our adhesives. About quartz surface, we have coperation with Casestone, Avonite surface,Silestone, Quartz12 Australia, Okite, Hanstone, and so on. in a word if you use the pure acrylic board, quartz stone, nature stone, MBC or composite acrylic sheets then it is the best choose to use our adhesives. Curing Time: Our curing time is very stable, within 12 months, curing time will be the same. It is around 20min at 21°C. Bending Strength: After joint, The bending strength can reach 35.5Mpa, which is better than Corian, and the same with Staron, LG. Yellowing: Our white glue will no yellowing for more than 10 years after joint with the solid surface, non yellowing. Hi, can you please refer me to a corian company in Korea or China that deals in solid surface with good quality and affordable pricing.